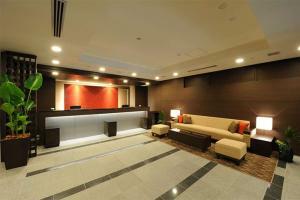 Guests are in the heart of the downtown action at Best Western Hotel Fino Osaka Shinsaibashi. The Shinkansen bullet train is nearby along with Shinsaibashi-suji, a covered shopping and dining area. Back at the hotel, personalized service awaits with massages and trouser press if you request. Free Wi-Fi throughout, a 24-hour front desk, multilingual staff and a dining area make for a pleasurable stay.